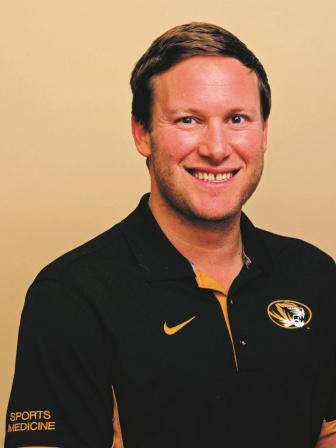 Dr. Seth Sherman is co-Division Director of Sports Medicine and Associate Professor with tenure at the University of Missouri in Columbia, MO. He completed orthopaedic surgical residency at the Hospital for Special Surgery in New York and Sports Medicine Fellowship at Rush University in Chicago, Illinois. Dr. Sherman is a third generation team physician and surgeon. He is a team physicians for the NCAA Division I Mizzou Tigers in the SEC conference. His clinical interest is knee joint preservation, including ligament repair/reconstruction, osteotomy, meniscal repair/meniscal allograft transplantation (MAT), and cartilage restoration. He has a passion for the treatment of patellofemoral joint disorders. Dr. Sherman published over 50 peer reviewed text and has more than 100 podium presentations. He is on the Editorial Board of the Arthroscopy Journal and American Journal of Orthopedics. He is chair of the AAOS Sports Medicine/Arthroscopy Committee, deputy co-chair of the ICRS ‘NexGen’ committee, member of the Knee and Joint Preservation Committee for ISAKOS, Publication Committee for AOSSM, Advocacy Committee for AANA, and membership committee for the International ACL Study Group. Recent research interests include chondrocyte toxicity of injectable agents, in vivo modeling of the patellofemoral joint, MAT biomechanics, canine impact model evaluating bone marrow lesions.